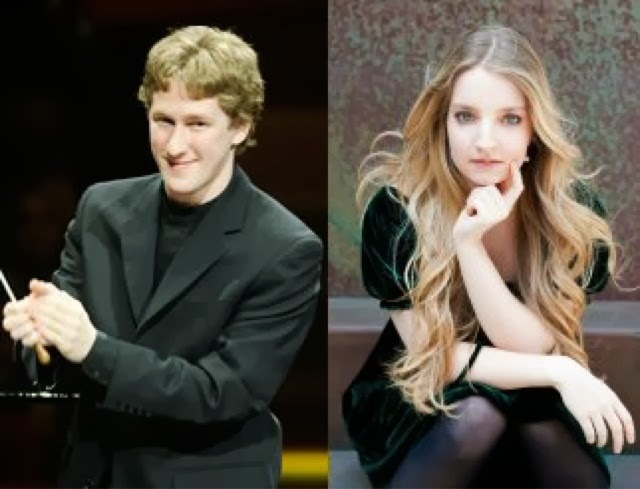 Two RLPO debut artists featured in this concert, performed on two consecutive nights at Philharmonic Hall and including music that is all very familiar here from past seasons. Lise de la Salle joined the Liverpool orchestra for her first time to perform Rachmaninov’s first piano concerto. This is a youthful and passionate work but not played as often as its siblings, although it has all the charm and romantic sweep of the later concertos if not quite the same epic scale. Cherbourg born De la Salle brought a typically French flair to her reading, which made the most of its drama and excitement in the two outer movements and had plenty of warm-hearted elegance in the andante. She has remarkable power in her delicate frame and never allowed the orchestral forces to overwhelm the piano. Accompanying her, the Royal Liverpool Philharmonic were conducted by Joshua Weilerstein, also making his Liverpool debut in these two concerts. Although still only 26 he has held a post as an assistant conductor with the New York Philharmonic since May 2011 and has worked with an impressive list of orchestras. In the Rachmaninov he brought plenty of fire from the players whilst, as mentioned above, never swamping his soloist. Weilerstein’s concert opener was a grand statement of intent for the evening to come. The overture to Verdi’s Nabucco was delivered in a turbo-charged account with blazing brass. Normally rather more understated, the overture would have set a waiting cast of singers into a panic in the opera house at this breakneck pace, but as a concert overture it was just what was needed to convince us of the rapport he had built with the orchestra. The conductor had chosen to assemble his own suite of 11 extracts from Prokofiev’s ballet score for Romeo and Juliet in such a way as to form a pleasing span that filled the second half of the programme. It was good to hear a balanced mix of popular numbers interspersed with some more often only heard from the theatre pit. This performance brought an almost cinematic feel to Prokofiev’s music. There were clear and well-articulated rhythms and the orchestral balance was well judged so that we could hear the detail even in some of the most heavily scored passages. It was also noticeable that Weilerstein was making the most of the hall’s acoustic, allowing space and resonance. It would be unfair to single out individual instrumental performances with such fine playing from all departments, and the conductor took care to acknowledge each section during the enthusiastic applause. Joshua Weilerstein and the members of the Orchestra appeared to have enjoyed working together and it would be good to see the pairing again in future seasons. The Royal Liverpool Philharmonic recorded a disc of over 20 extracts from Romeo and Juliet with Libor Pešek some 20 years ago and this remains available to buy online in both CD format and as a digital download.